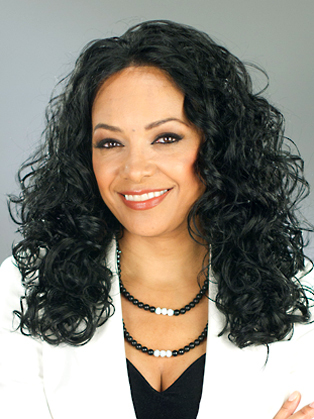 Kanya King CBE is living proof of the old adage that a genuine leader moulds, rather than seeks consensus. An internationally renowned entrepreneur, Kanya, through her role as CEO and founder of MOBO – displayed the drive and vision needed to help take urban music from the margins of British popular culture to the very heart of the UK mainstream. Kanya founded the MOBO Awards in 1996, when a broadcast slot with Carlton Television arose. She was given just six weeks to set up the very first awards show. Many thought there was no audience that would be interested in a celebration of the diverse genre’s ranging from Reggae, RnB, Hip Hop, Gospel, but 18 years later the awards show holds the distinction of being one of the most televised urban music awards shows in the world today, reaching in excess of 400 million viewers across over 200 countries. the MOBO platform has helped launch and propel many of today’s biggest musical talents such as Emeli Sandé, Tinie Tempah, Rihanna and the late great Amy Winehouse. Kanya has always been an innovator and has had a lot of practice at persuading people to come round to her way of thinking. The youngest girl of nine children born to a Ghanaian father and Irish mother, Kanya grew up in a ‘crowded council flat’ in Kilburn, North London. While her family faced ‘a huge amount of discrimination’, Kanya chose to be influenced far more by her father’s advice to ‘be the best you can be’. It was that advice which motivated her to start contributing to the family finances from a young age. It drove her to study English Literature at Goldsmiths College and later, while working as a TV researcher, gave her the courage to take forward her convictions that there was a place for a mainstream British awards ceremony that celebrated those music genre’s originating from black culture that were not recognised at the time. When she could not find a financial backer or many supporters in the wider music industry who agreed with her at a time when Britpop was at its peak and British urban music was practically invisible to the mainstream, she ‘put her money where her mouth is’, remortgaged her property (which she acquired at a very young age) to fund the TV production herself. She not only persuaded Carlton TV to broadcast the 1996 event but, also managed to organise and book the talent within this short period. A testament to the dynamism of a woman who has become a watchword for great British entrepreneurship, business acumen and a trailblazing pioneer. The first MOBO Awards ceremony starred Lionel Richie as its Lifetime Achievement recipient and a soon-to-be Prime Minister and his wife, Rt Hon Tony Blair. Kanya succeeded against the odds, everything done since has proved it was not a one-off. MOBO has become much more than just an awards ceremony - it’s now an iconic, year-round, agenda-setting brand encompassing everything from a live tour to a TV channel and website, while offering training and guidance to several generations of aspiring singers, MCs, DJs and producers. Kanya has been acclaimed as one of London’s ‘Most Influential People’ by the Evening Standard newspaper, and also as one of Britain’s ‘Most Entrepreneurial Women’ by Real Business. More recently, ‘Women's Hour’ on BBC Radio 4 selected Kanya as part of their 2013 power list of the top 100, most influential women in Britain and she has also been listed in the Guardian Music Power 100. In addition, Kanya has received numerous honours for her business and community achievements, including an Honorary Fellowship at Goldsmith’s University and a Doctorate of Business at both London and Leeds Metropolitan Universities. She is also an honoured patron of Music at the City of Westminster College. Kanya is a board member of the E2E Exchange, an entrepreneurial network along with Richard Branson and Duncan Bannatyne. She is hugely in-demand as a media figure, making regular appearances on the BBC, Sky, ITV and CNN and featuring in everything from the Sunday Times, The Guardian and Telegraph to InStyle, Stylist and Hello! Magazine. She also starred alongside the likes of Duncan Bannatyne and Jacqueline Gold on ITV’s “Fortune – Million Pound Giveaway”, giving financial backing to worthy causes and ambitious young people. With plans afoot to expand the MOBO brand and its influence further into international territories and various brand extensions, there’s still more to come. Even after all her achievements, you can bet she’s just getting started. As an iconic inspiration to budding female entrepreneurs and music lovers worldwide, Kanya has created a brand that recognises, motivates and inspires talent on an international scale.